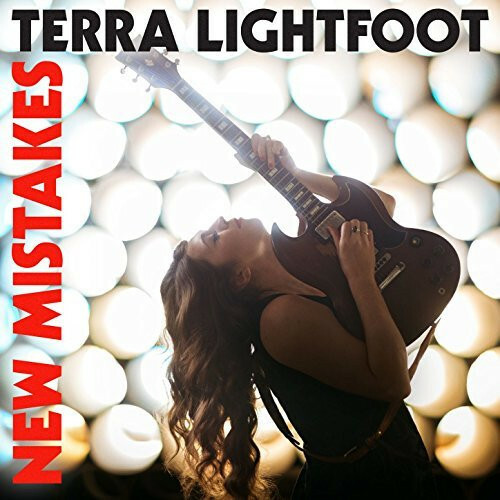 With New Mistakes, Canadaʼs Terra Lightfoot offers up something rare: the kind of genuine document that can only come from a road-tested breed of songwriter and performer. Shot through with the guitarist-vocalistʼs powerful, bluesy soul, vivid lyrics and ferocious six-string virtuosity, itʼs an unforgettable outing. From the ground-shaking stomp of 'Paradise' and wild-eyed energy of 'Pinball King' that open the set to the psychedelic, gospel-tinged album closer 'Lonesome Eyes', the steeltown nativeʼs third record distills her masterful talent to its electrifying essence. Produced by Gus van Go and Werner F (Arkells, Sam Roberts Band, Wintersleep), New Mistakes is a heady journey. As poignant as it is rollicking and vulnerable as it is rowdy, it cruises long and sometimes lonesome highways that lead everywhere from brokedown dive bars and endless prairie skies to mountain ranges and the Mojave Desert. Customer evaluation for "New Mistakes (CD)"